Dummie the mummy makes a friend and starts life anew in this month's middle grade Xpress. Menten, Tosca. 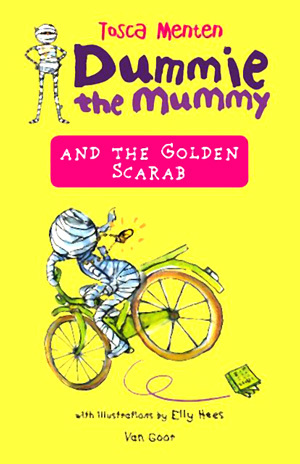 Dummie the Mummy and the Golden Scarab. tr. from Dutch by Michele Hutchison. illus. by Elly Hees. 248p. Lannoo. May 2018. pap. $14.95. ISBN 9789000357840.